Multihull Sailing Books - Gavin LeSueur's online bookstore. 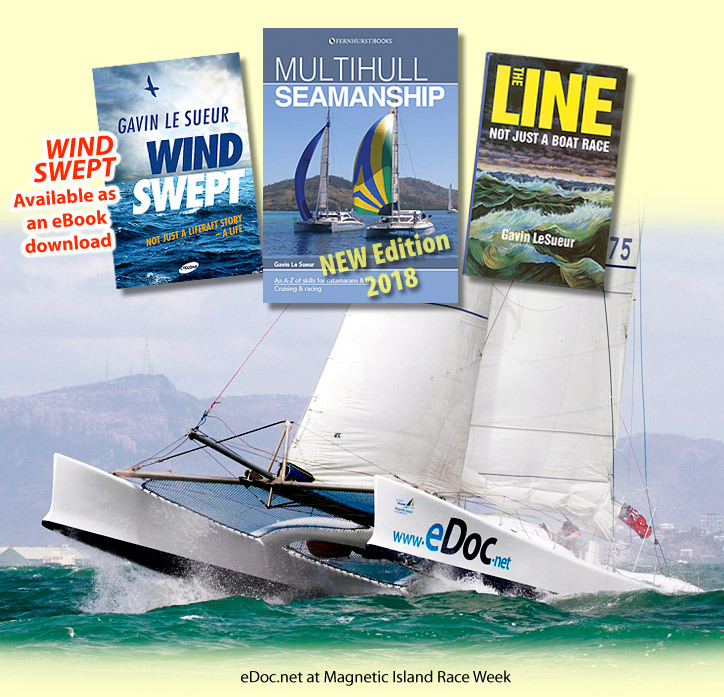 "'must read' for anyone with multihull ambitions"
"Practical...valuable reading for novices as well as those who have been around the scene and want to improve their skills." "Could literally be life saving. Anyone preparing to build, buy or just sail a multihull would be advised to read this book." BUY NOW .. ONLINE BOOK STORE! Reference and adventure books covering seamanship, cruising, racing, construction, fitout and handy hints for the catamaran and trimaran sailor. By renowned Australian multihull sailor and author Gavin LeSueur.